Composed of an impressive fleet of vehicles and machines of all sorts; and a dedicated, experienced team of professionals skilled in various trades ranging from road construction, mechanical and fabrication to electrical, plumbing and carpentry. The Street Department is a major contributor to the success of the Township. The primary mission of the Street Department is to maintain the Township infrastructure including roads, culverts and signage. This involves the yearly paving, crack sealing and snow removal, along with coordinating for spring street sweeping and pruning of trees and bushes in Township right of ways. It’s important to remember that the Street Department is focused on the improvement and maintenance of that owned by the Township and not privately owned roads and property. Did you know that not all roads in the Township are owned by the Township? Bloom, Kaseville and School house roads, for example, are owned by the State while some residential development roads are owned by the developer or an association. In such cases the owners of those roads, be them developers, associations or the State are responsible for all maintenance and snow removal. Sometimes, weather plays a significant role in the contributions made by the members of the Street Department. Snow removal, for example, with five plows operational, generally requires 3-4 hours to make one pass of an assigned route. As snow fall increases in length, or intensity, many passes with the plows are necessary to maintain the roads in cleared condition for Township citizens. 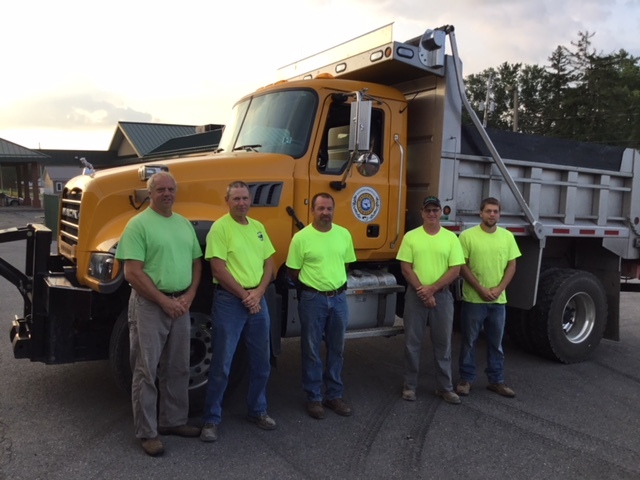 This makes for many long hours for our Street Department, often working through the night, then returning the next day to conduct further clean up. You can assist in the efforts of the Street Department to keep the roads clear during snow falls, by parking your vehicles, where possible, in your driveway when snow is forecasted. Heavy down pours of rain can also result in long and late hours for the Street Department. As creeks and streams overflow their banks, it is often the result of yard waste - branches, clippings-etc - that have been thrown into the dry creeks and streams that, in a downpour, then block and clog culverts and drain pipes. This results in increased property damage for homeowners down stream and requires the Street Department to deploy in the midst of the storm with equipment and crew to remove the debris. You can reduce this from happening by helping to ensuring yard waste is not put into the streams and creeks.